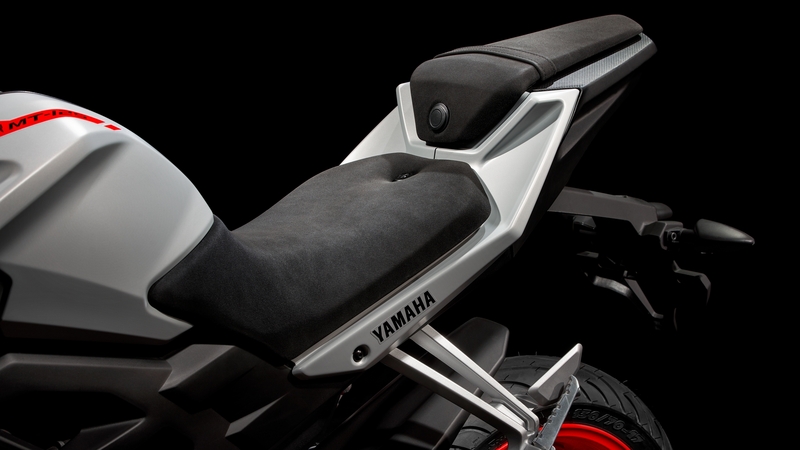 Our engineers have created a motorcycle that is the streetfighter in the 125cc class. 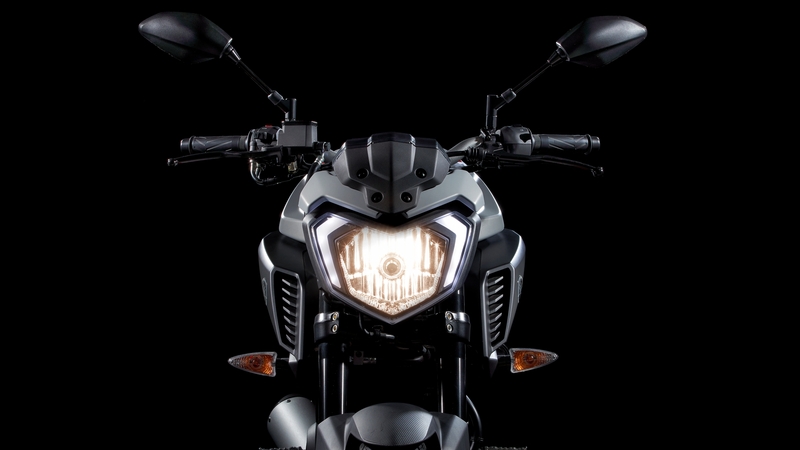 Featuring a naked chassis with a dynamic mass-forward look, the MT-125 is all about pure riding emotion. 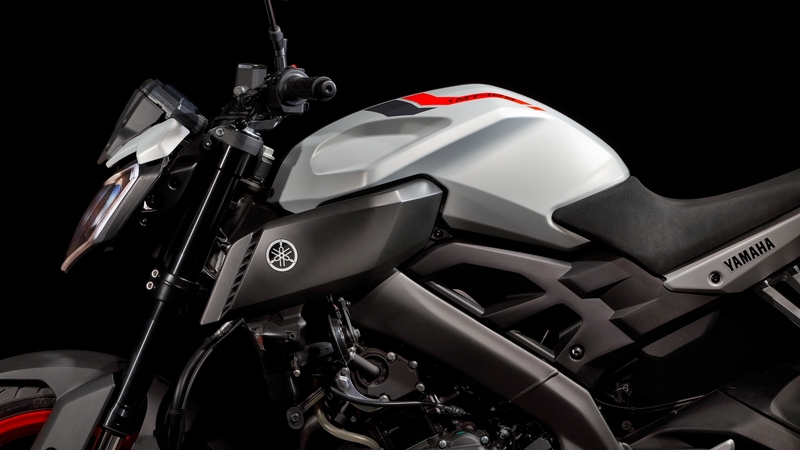 Like our larger capacity Hyper Naked models, the MT-125 is a sporty and agile bike that loves to be ridden every day of the week. The tank, seat, handlebars and footrests give a sporty riding position for good rider and passenger comfort - while the frame geometry and ergonomics ensure easy manoeuvrability in urban riding. 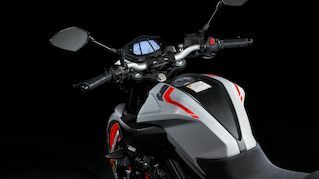 With its naked chassis, lightweight race-style wheels and athletic styling, the strong Hyper Naked family DNA can be seen throughout this bike - while its low angular headlight and high-shouldered air intakes present an imposing front view. The advanced upside down front forks give smooth and progressive suspension with responsive roadholding - and to underline its technological advantage the MT-125 comes with standard ABS and features a 292mm diameter floating front disc brake and radial mount caliper for excellent feel and effective stopping power. 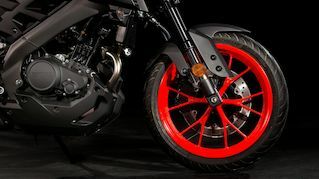 The MT-125's race-style wheels features six sets of thin Y-shaped spokes that keep the unsprung weight low for responsive suspension action and a smooth ride. 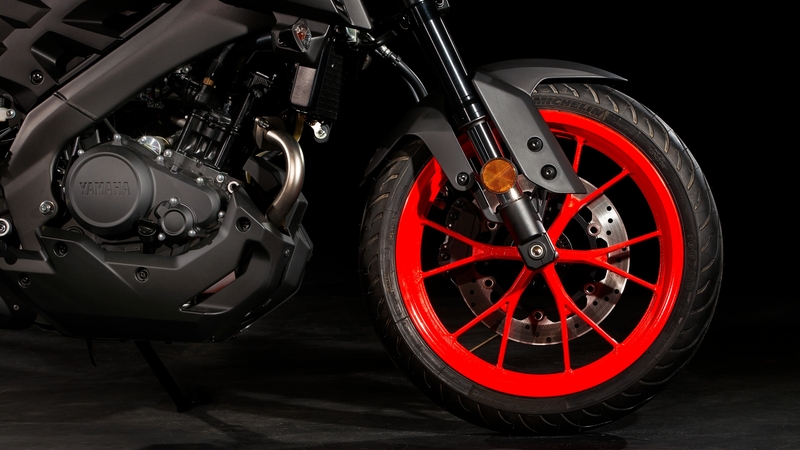 At the front a 100/80-17 tyre gives confident roadholding, while a wide section 130/70-17 rear tyre delivers high levels of traction and underlines the uncompromising streetfighter image. 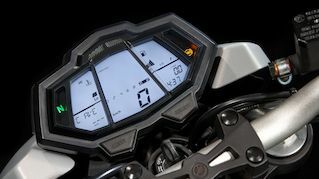 The rider's eye view of the cockpit area reveals a high-tech display that incorporates contemporary design elements from the latest generation of smart phones. The full LED instrument panel greets the rider when turned on, and includes bar style displays for rpm, engine temperature and fuel level, as well as a shift light and digital speedometer.